Kyoda, a director and unit director, made his directorial debut in 2003 with the theatrical film "RahXephon: Pluralitas Concentio." In 2005 with the series "Eureka Seven," he began his career as a TV series director. 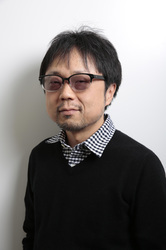 Since then, he has worked on other titles, such as "Expelled from Paradise" and "Space Battleship Yamato 2199: Odyssey of the Celestial Ark," in addition to other "Eureka Seven" series.